My Voice Karaoke gives you the power to hide the lead vocals in your favorite recordings, change the key of the song to fit your vocal range, and change the tempo to fit your style. Add lyrics and synchronize the words to the music so you can sing along with the original recording! Import songs from your iTunes library, audio CDs, video files, or record directly from internet radio stations. Add studio-quality vocal reverb to your voice as you sing. It couldn't be easier to perform or record your own versions of the songs you love! My Voice Karaoke gives you the power to remove the original vocals and create karaoke-ready audio files for a live performance or have fun recording yourself in place of the original artist! 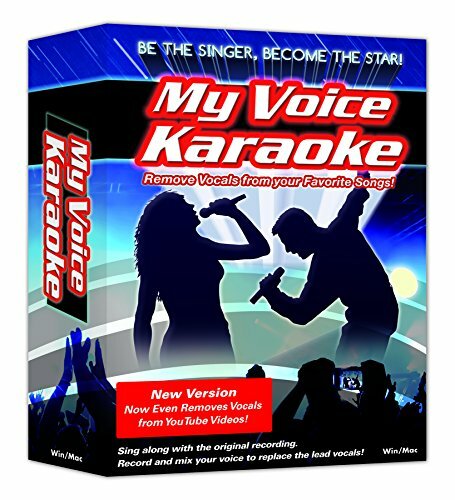 With My Voice Karaoke, YOU can replace the original singer on your favorite recordings! If you have any questions about this product by IPE, contact us by completing and submitting the form below. If you are looking for a specif part number, please include it with your message.